The Bow Wow Buddies Foundation Has a Friend in Hannah Okel! As far as Good Samaritans are concerned, the world is a far better place with 9-year-old Hannah Okel in it! birthday donations would be going! Over the past few weeks, Hannah’s story has rocked the social media-sphere, landing her feature stories with People Pets, MotherhoodMoment.com, and even a spotlight in The Freeman, a local newspaper for residents of Waukesha and surrounding areas. So far, she’s raised more than $1,000 for the Bow Wow Buddies foundation and counting. 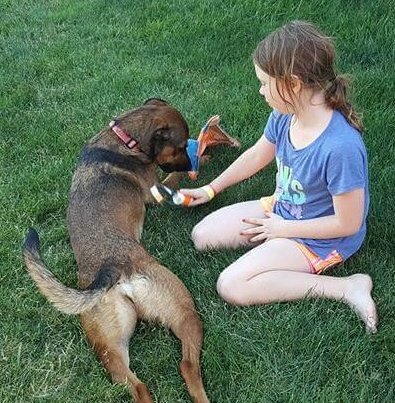 At Camp Bow Wow, we believe in the power of the Bow Wow Buddies Foundation, and are fully supportive of the mission that young Hannah has set out to complete. 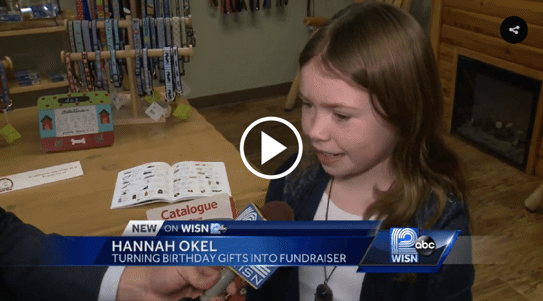 So supportive, in fact, that Camp Bow Wow Waukesha decided to match any donations made by February 18 on Hannah’s behalf.